Lesson Slide: Includes the core standard that is being taught. Includes the target goal for students. Also shows the key vocabulary for the lesson. Focus Question: Next, I inlclude the focus question for part 2 of the lesson: Develop the Concept. At the bottom of each of these slides I include the "Extend" part. This is meant for those students who have finished answering and working on the focus question that is presented. Those of you familiar with the program know that there are some students who figure out initial question very quickly. One way that I have managed this by including the "extend" portion on this slide. 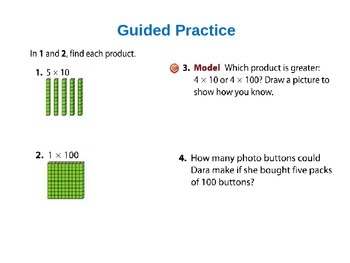 Guided Practice: I have included the Guided Practice questions from the book. There is ample space to show work. Following the Quick Check, I have included a "Review" section. After students have completed their indepedent work, I like to go back and have students check their work/check work together as a whole class. I made sure that I extracted questions that hit on the key points from the lesson. I provide enough space that students can come up to the board to show their work. Extending the Concept: After the review, I have included an "Extending the Concept" slide. These questions do not necessarily come from the enVision program BUT they use the skill that students learned that day in class. I always have this slide showing on the board when students are working independently. 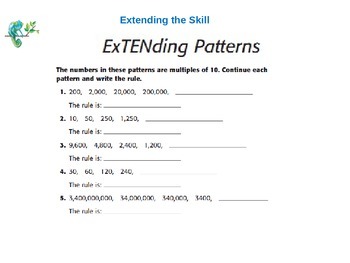 Also, prior to the beginning of the topic, I print these Extending Concept slides for students to keep as a packet in their math folder. These activities are somewhat challenging however they are perfect for the student that needs enrichment. These activities are also great for small group work. Topic Review Test: At the end of the whole power point I have included the Topic Revew Test. 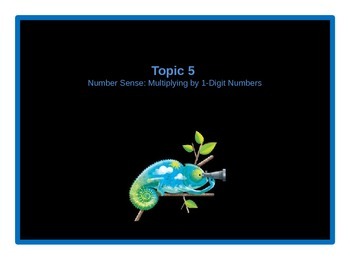 There are only 2-4 problems on each slide so that there is space for student work. Also, if students need reteaching, there is the lesson number that the question came from. You can easily find this slide in your power point and reteach. 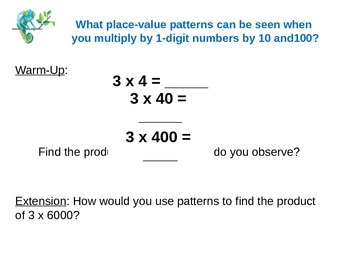 Performance Task: Also included at the end of the power point is the Performance Task.I have my students complete this on the day that they take their math test. This performance task really does show me whether students understood the the concepts taught in the topic. I know that you will find this power point extremely helpful. A lot of time and effort went into making this but it is one thing that I utilize each day in my math class.